South Carolina Rep. Bobby Cox’s (R- Greer) House Bill 3800), which would allow apprentice hunting for unlimited number of years, was passed without objection by the state House of Representatives on April 3. Take Action Today! South Carolina members should contact their state senators and ask them to vote YES on House Bill 3800. 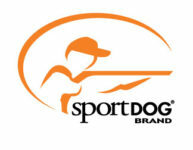 Members can contact their representative by using the Sportsmen’s Alliance Legislative Action Center. The House Agriculture, Natural Resources & Environmental Affairs Committee approved the bill on March 27. The House amended the bill to allow non-residents to purchase a three-day apprentice license as well. Currently, South Carolina only allows for apprentice hunting for one year. HB 3800 has been sent to the Senate and referred to the Fish, Game and Forestry Committee. HB 3800 is supported by the national Families Afield effort, which is led by the Sportsmen’s Alliance, National Shooting Sports Foundation, National Wild Turkey Federation, National Rifle Association and the Congressional Sportsmen’s Foundation. This coalition has successfully championed mentored or apprentice hunting laws in 41 states since the Families Afield program was launched in 2005, and has resulted in more than 2.2 million apprentice licenses sold. Research on apprentice hunting has consistently revealed that allowing people to purchase an apprentice license for three or more years results in a much higher rate of conversion to hunter education and the purchase of a regular hunting license.